Ultimately it depends on the codec you are working with because the BTR3’s presentation will open up more the higher you decode. The use of the AK DAC will produce some familiar AK traits such as an impactful low-end, a lively lower treble and decent vocal presence. There is not a huge amount of sub-bass extension in the BTR3 bass response with a slight mid-bass punchy signature over anything powerful sounding. You get a decent level of low-end warmth and a fairly smooth but clear sounding midrange which nods ever so slightly to euphony. Vocals are not too soft or lush sounding but they do have a forward presence. It loses some of that low-end warmth with a livelier upper mids and lower treble that tends to inject a little upper harmonic order brightness. Do not confuse that with sharp sounding, rather it just isn’t overly soft or wet sounding. The BTR3’s upper treble is a little more muted, especially if you are decoding at a lower level so it is not a massively airy signature. At SBC levels of decoding, the BTR3 sounds compressed and too “samey” sounding for my tastes. You lose a lot of dynamic range and feel a little disconnected from the sound. This is the aspect of Bluetooth that turns me off, traditionally. These low-level codecs are only for voice calls and convenience listening IMHO. At aptX levels, the BTR3 sound quality will greatly improve. Generally speaking, I find that a lot of aptX quality signals give you more of a lift on the low-end and slightly taper off the top-end leaving you with a bassier but darker experience. After all, this is still a compressed signal. On the BTR3 you do get some additional low-end definition, a jump in dynamic range and better instrumental clarity. The treble actually sounds much better on aptX with a little more snap and bite on percussion timbre but still not as airy as I would like it. Once you are in LDAC mode, especially HWA/LHDC via the FiiO app then everything opens up and it actually sounds fantastic. By far the best sounding Bluetooth sound I have heard to date. What I mean by that is the big jump in dynamic range combined with an already very low noise floor delivers a much more detailed and holographic sounding presentation. It still retains a fairly natural to slightly lively sound but the layering and instrumental detail are not so one-dimensional sounding. This is pretty close to a decent wired IEM experience and in some cases, such as jacked out of my LG G6 smartphone I actually prefer the LDAC sound to the wired sound. Sometimes I find the LG G6 a little on the bright side and lacking in the low-end. 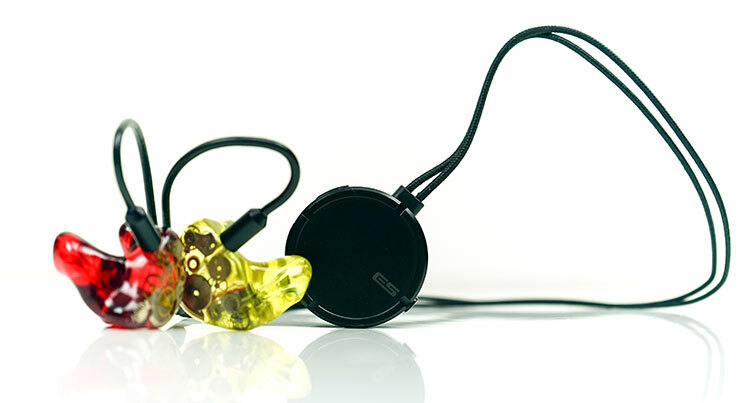 The BTR3 remedies that somewhat with efficient low-impedance IEMs such as the Andromeda. Connectivity can depend a bit on your source setup. Using an LG G6 with the sound quality set to stable over “best sound quality” we got around 20 meters with one wooden door between source and dongle. That was pretty impressive. It only started to break up once we went behind a brick wall which reduced the range a bit more. With two walls we were down to about 5-6 meters or less. 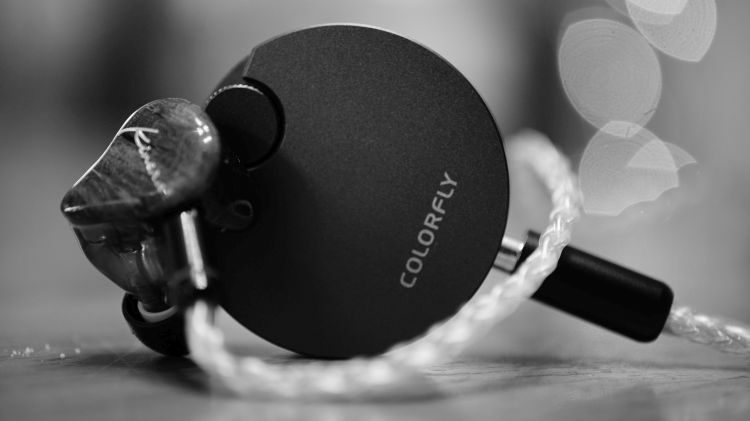 The range was on par with the likes of the Colorfly BT-C1 and better than the Earsonics Birdy which cut out a few meters before. Switching to best sound quality on the LG G6 and LDAC we did not notice any shortening of the connection distance with the same test pattern. We did, however, notice a few cutouts with LHDC (HWA) switched on via the FiiO Android app, even at close range. Whether this was due to the apps own coding setup or codec pushing the strength of the connection to the limit we are not sure. Otherwise, the regular LDAC connection was excellent. The BTR3 noise floor is very low. Lower than competing dongles from Colorfly (BT-C1) and much lower than the more expensive Earsonics Birdy. The Birdy amp is more powerful at 130mW into a 32Ω load so it is suited for higher impedance IEMs and some headphones. The weaker 25mW into a 32Ω rating of the BTR3 makes it more suited to efficient IEMs. Both the Andromeda and EE Phantom sounded very quiet and were easily driven by the BTR3. The 99 Classics from Meze was quite a good combination also. The clarity was very good in LDAC mode with both of them sounding fairly detailed and 3-dimensional. There is enough volume for some higher impedance headphones over 32Ω but the power output means it will lack a little in dynamic range and sound a bit tinny. I would stick to IEMs in the main for the BTR3 performance levels. The basics first. The BTR3’s first key difference lies in the lack of existing cable to connect IEMs to and instead using a 3.5mm jack port. 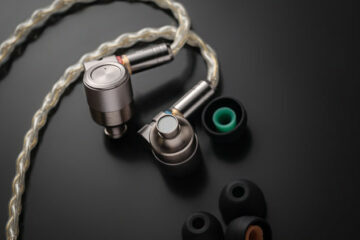 Thus, it opens up the possibility of plugging in any IEM or even headphone whereas the Birdy is strictly 2-pin IEMs. The second is the decoding capability. The Birdy tops out at aptX HD, which in itself is excellent. However, the BTR3 goes further and offers LDAC which is the pinnacle of hi-res streaming via BT. 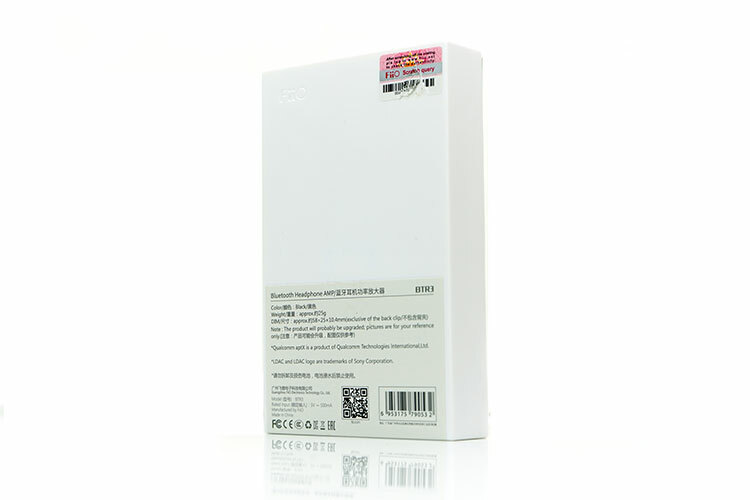 It can also double up as a USB-DAC (wired) as well as allow you to use one-touch NFC if you have that option for pairing. The BTR3 has the better options suite and functionality. The final key difference is the amplification. The Birdy is a healthy 130mW per channel whereas the BTR3 is much weaker at 25mW at a similar load. With highly efficient IEMs the 25mW should be enough, but once you start moving up to 32Ω and beyond, the Birdy will cope better, especially for headphones. Like for like on aptX HD, the Birdy sounds a little meatier in the lows, a bit more natural in its instrumental timbre and fuller sounding on vocal performances. It has a slightly wetter and warmer presentation to the cleaner sounding BTR3 and does convey a better level of dynamic range. With the aptX HD performance on the BTR3, I also felt it sounded more compressed and less holographic sounding. The one noticeable difference is the black background on sensitive IEMs. The BTR3 is quieter on sensitive IEMs than the Birdy. However, if you happen to be using a smartphone or DAP with LDAC capability then you will hear a definite upgrade in the BTR3’s performance. You still get a fairly neutral timbre by comparison but the dynamic range is so much better with a far snappier and more engaging sound with better resolution and instrumental separation. Here, I find the BTR3 to close the gap considerably and it does indeed sound way above its price point. The BT-C1 has the same form factor as the Birdy. This is a small disk-shaped but slightly thicker BT dongle. It is designed o hang from your wrist via a strap rather than from your neck. It does, however, use the 3.5mm jack input system from the BTR3 so you can attach it to just about any IEM you like. I actually find this an attractive looking device with its independent volume dial and well-placed buttons on the side. It is very durable with its aluminum alloy build also and black glass rear. Unfortunately, the tech inside is a touch older in some ways. On the positive side, the BT-CI is capable of Bluetooth 5.0 much like the BTR3. 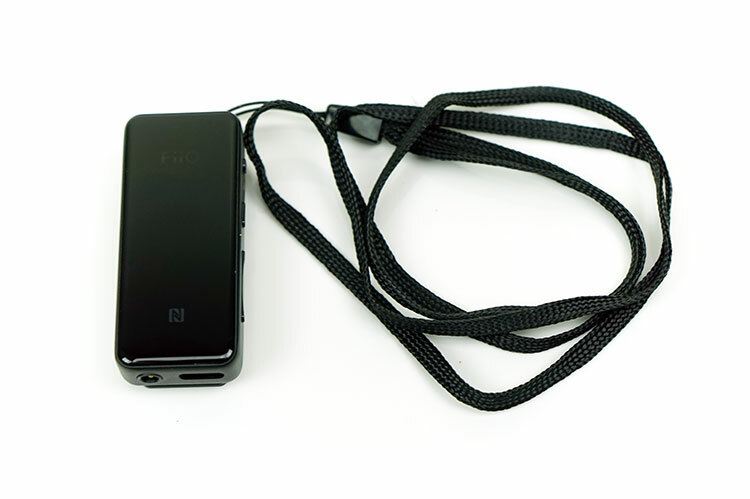 You will be able to connect to multiple devices at the same time with both the Colorfly and FiiO dongle. However, the codec decoding capability is gimped at just aptX and aptX LL so a big drop from the BTR3 LDAC output. The output of the BT-C1 amp is slightly better at 32mW (+7 over the BTR3) into a 32Ω load so both are shooting for the same type of user, primarily IEMs. Battery life on the BT-C1 is poor at just 6 hours compared to nearly double on the BTR3. It also uses micro-USB so the charging time is a little longer at 2 hours compared to the USB-C designed BTR3’s 1.5 hours. In terms of connectivity distance both have a similar performance. With a wooden door between source and dongles, I was easily about 15 meters and maybe further if I decided to walk off my balcony into thin air. With one wall it dropped to about 10 meters and 2 walls about 5 meters. The BT-C1 has too much noise for sensitive IEMs with the Andromeda and Phantom showing up levels of hiss. The BTR3 had a much blacker background and a better control of noise. With both dongles set on aptX, the BT-C1 is the slightly fuller sounding with warmer lower mids and vocal presence. Of the two, the BT-C1 sounded the slightly smoother at this codec level. However, once you throw on HWA LDAC from FiiO’s app on Android or iOS then the BTR3 pulls away in the technical domain. Dynamic range is much better with the entire presentation sounding much less compressed or ‘walled in”. It doesn’t suddenly get meatier or warmer but the snap and clarity are excellent as well as a more holographic soundstage. I am very impressed with the BTR3, even compared to the BTR1. The inclusion of LDAC and LDHC (HWA) makes a huge difference to the sound quality inside what was already a good idea with their entry-level versions. The price is competitive also at $69.99. For that price, it is actually a no-brainer if you want to hear what Bluetooth is really capable off with a quality set of IEMs. The concept of BT built into IEMs has always left me on the fence but being able to use any IEM in my own collection makes this a worthwhile accessory to carry around when on-the-go. I am really interested now to see what can be achieved with a more powerful amp in their higher-end BTR units I know they are releasing in due course. It also makes me wonder if the might Q5 can also be adapted for LDAC because that is where I think you could have a really magical sounding experience wirelessly. FiiO has opened up a lot of potential avenues with the BTR3 and I am sure competitors will follow-suite though for what price I am not sure. 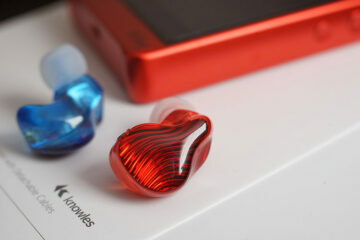 Right now though it is looking like a really smart device to have around for more demanding audiophiles. The BTR3 is a big jump with LDAC capability which is a far more dynamic and detailed presentation. However, the M5 should be all that and a little more wrapped in a DAP. nice review. good to know bluetooth has good sound with that tiny fiio cos i always sceptical of bluetooth sound. btr3 has usb dac feature right? is it better than bt-c1 too? Yes, it does and miles better if you have LDAC capability from your source.